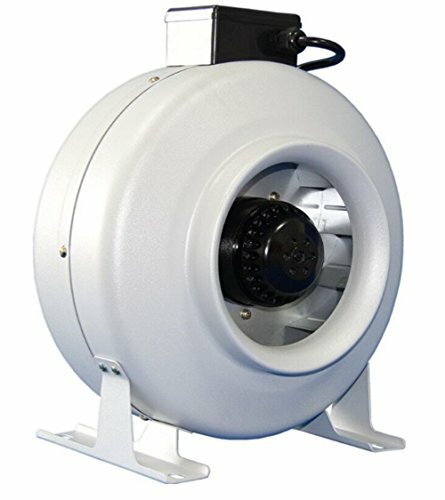 *6" Inline Duct Fan Product Information This High-efficiency Inline Blower is able to move air through carbon filters, long stretches of ducting or grow light reflectors. With a tape flange, it is rather convenient for you to place the ducting on the blower and tape it in place. Exchange stale air with fresh air to keep temperature or humidity under control and cool your reflector with this top-quality blower! Come with a set of steel brackets for use. Safe and environmental friendly. Features: Powerful and high efficiency Leather cover included High performance and static pressure to overcome the resistance caused by long ducting. Backward curved impeller to ensure quite operation possible. Balanced motor with permanently lubricated ball bearings for vibration-free operation and continuous running. 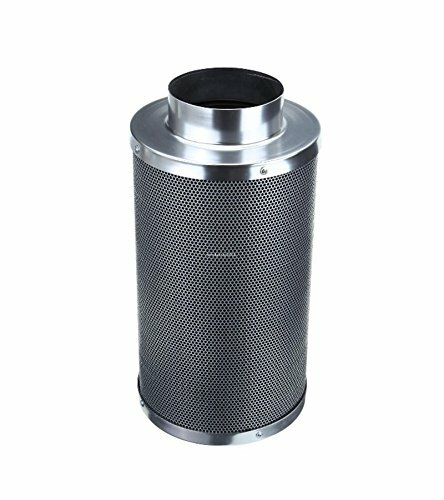 *6"Carbon Air Filter Product Information This High-efficiency Inline Blower is able to move air through carbon filters, long stretches of ducting or grow light reflectors. With a tape flange, it is rather convenient for you to place the ducting on the blower and tape it in place. Exchange stale air with fresh air to keep temperature or humidity under control and cool your reflector with this top-quality blower! Come with a set of steel brackets for use. Safe and environmental friendly. Features: Powerful and high efficiency Leather cover included High performance and static pressure to overcome the resistance caused by long ducting. Backward curved impeller to ensure quite operation possible. Solid metal construction with galvanized sheet. *Speed Control Features: Fuse Protected. UL listed for safe use. One control switch for 3 settings: Variable Speed, OFF, and Full Speed. Speed control dial to control variable speed: Low, Medium or High speed. Built-in a metal clamp at the back of the speed controller. Built-in grounded control outlet. Come with 31-1/2" Grounded Power Cord with US standard plug. 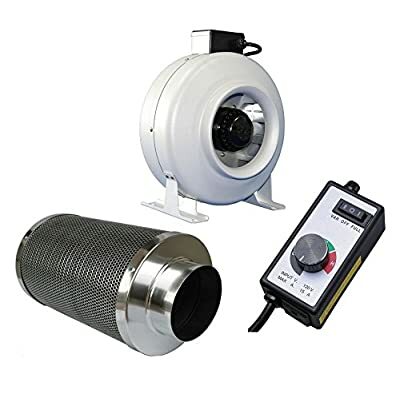 6" Inline Duct Fan : 440 CFM / 2730 RPM / Power121 W, Input Voltage: AC 110v/60Hz, Current: 1.1A / Dimension: 8:5" x 11" x 13" Duct Size: 6" / Decibels: 77 (+/- 1.5) 6"Carbon Air Filter : 400 CFM / Dimensions: 9.75" x 21.50" with 6" Flange Ducting / RC 48 Virgin Activated Carbon / Aluminum Cap Construction for Maximum Output / 50mm Carbon Layer of Thickness for Higher Absorption and Performance peed Control : Voltage: AC120V, 60Hz 15A / Max. Power: 1800W / Fuse: 15A / Dimension: 5-1/2"L x 2-2/5"W x 2-2/5" H / Power Cord: 31-1/2"